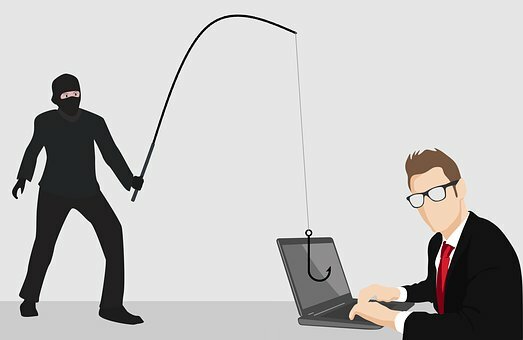 The dangers of phishing scams are many, but although we know they exist, we don’t necessarily know how to avoid the turmoil of tricksters. In this blog post, we take a look at email hustlers and how to avoid the perils of email phishing scams. Many email scams come in the form of recognised names… so, if you get a message from Amazon, Apple, Microsoft or someone else you’ve heard of, it might be from a phishing scammer. Even if you recognise the name of the company, it’s good to be on your guard, just in case it’s something sinister. It might well be genuine, but it’s always wise to be wary. Recently, for example, many of our clients have been following links in Microsoft emails that look legitimate. They are then prompted to enter personal details, such as their Microsoft Office emails and passwords. If they do so, their accounts can become compromised. Think carefully: why would Microsoft/Apple/Amazon etc be contacting you? If they’re mentioning a recent purchase or action which you haven’t undertaken, it’s likely to be false. Check the address the email has come from. Every sender has a bracketed address after their name. If they don’t, hover your mouse over the sender name to reveal the address. If this address looks strange – for instance it might have many letters and numbers – it’s likely to be a scam. Are there any links in the email? If so, hover your mouse over them. This will reveal the web address the link will take you to. If it looks dodgy, it probably is. So, don’t follow it! Big companies are unlikely to make spelling mistakes, so if you spot any, its unlikely to be genuine. If you give personal details away, there are potentially dangerous consequences. Depending on the emailer’s intent, your account may be used to circulate dodgy emails, your computer may be hacked, or you may even see money leave your bank account. So, it’s essential to be wary. A special note about Microsoft: be aware that you will NEVER receive an email from Microsoft, or anyone claiming to be Microsoft, asking for you to click on a link or give away any of your passwords. Any emails that come to you requesting this should be deleted, no matter what they say. If you want any more help or advice around phishing scams via email, we’re London’s experts on Microsoft and more. We’ll keep you safe from the scammers and arm you with all the inside knowledge you need. As technology evolves, scams become more intricate and harder to spot, so make sure you stay safe with us.